It is tough to get pumped for serious back to school shopping for the kids when temps are in the 90s. 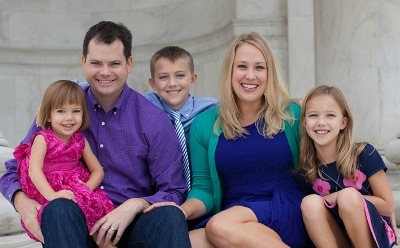 But once the first chill of fall creeps in, shopping for the kids’ jeans, pants, long-sleeved tops and jackets becomes a fun family project. 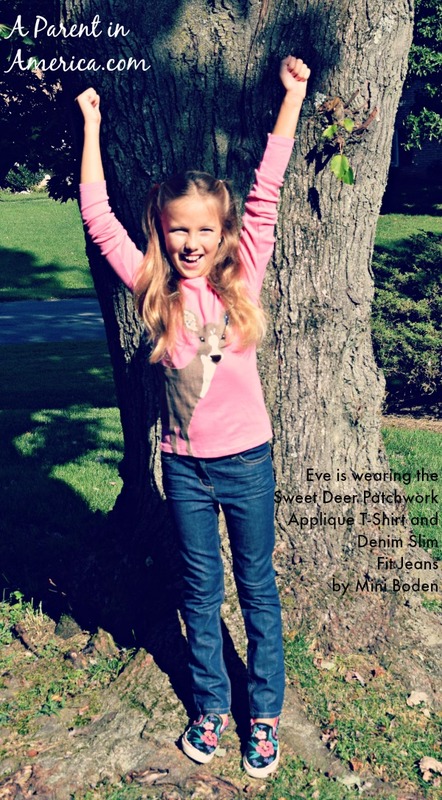 Eve was offered a chance to review Mini Boden’s offerings for girls this back to school season. She had so much fun pouring over the catalog and website to choose her favorite pieces. I supervised her shopping, and I was very impressed by how cleverly cute were the designs and motifs for young girls. 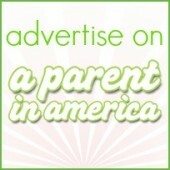 The offerings for tweens are hip but always modest and age appropriate. Eve loved the options for her age (wearing a size 9, she can shop in both the Mini section and the Johnnie B section.) She decided on long sleeved tops and pants, as these pieces are her favorite items to wear to school for comfort and play from September through May. Eve will admit that she is obsessed with animals, and she loves to wear her Dr. Doolittle tendencies on her sleeve…literally. She was in luck with the Patchwork Applique T-Shirts which feature horses, deer, squirrels and even hedgehogs and literate mice. 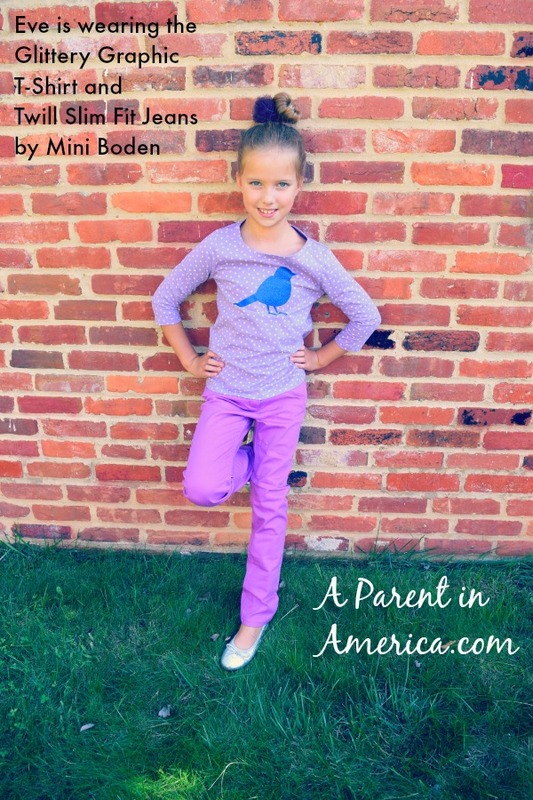 The Mini Boden leggings are well-made and come in a dozen colors and prints. They are a very close fit, so if your daughter prefers looser clothing go up a size or choose the yoga pants or sweats instead. I was majorly impressed with the sturdy, well-cut jeans for girls. We found the lavender-colored twills in the clearance section, which is packed with great deals for fall and winter. 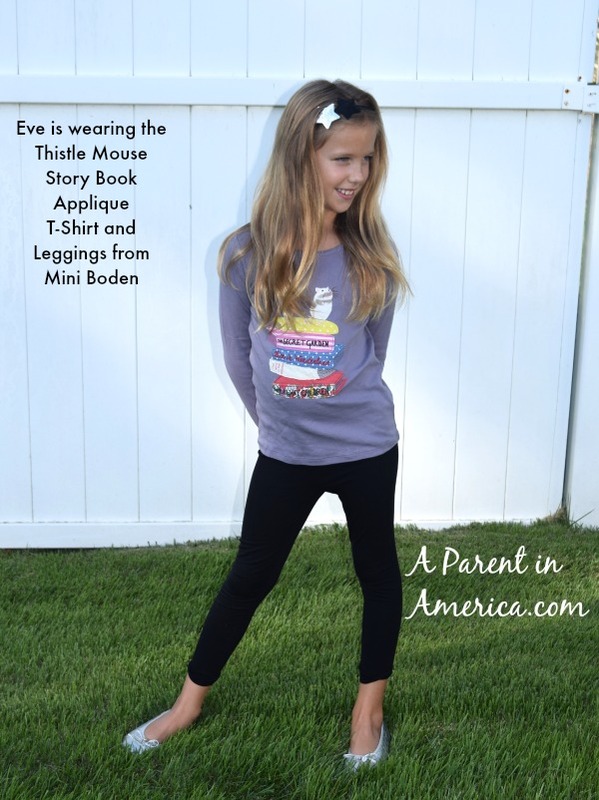 The hashtag Boden provided for this review is #MomsLoveBoden, but my daughter Eve will tell you that #GirlsLoveBoden is fitting, too. Eve received a gift card to facilitate this review. No additional compensation received. All opinions are our own.